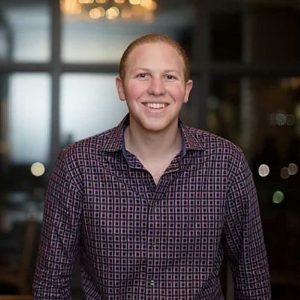 Jared Kleinert is a serial entrepreneur, TED speaker and award-winning author who has been named USA Today’s “Most Connected Millennial”, a Champion for Humanity by the United Nations and a delegate to President Obama’s 2013 Global Entrepreneurship Summit. He is the author of multiple books, including the “#1 Entrepreneurship Book of 2015”, 2 Billion Under 20: How Millennials are Breaking Down Age Barriers and Changing The World. His work profiles seemingly superhuman young people who have founded companies collectively worth billions of dollars like WordPress, Duolingo, General Assembly, and others, as well as social media influencers with followings in the tens of millions, feature film producers, and leaders across diverse industries ranging from virtual reality to lunar settlement. As a highly-sought after keynote speaker and consultant, Jared’s clients range from organizations like Facebook, Samsung, and IBM to Cornell, Berkeley, AdAge, Ogilvy and the National Speakers Association. His insights on entrepreneurship and networking have been featured in major media such as Forbes, TIME, Harvard Business Review, Fortune, Entrepreneur, Fox Business and more. As the founder of Meeting of the Minds, an invite-only mastermind group, Jared is committed to building the world’s top Millennial-led network of super-connectors and subject-matter experts.